Created by Ultron, Vision is a type of android called a "synthezoid". 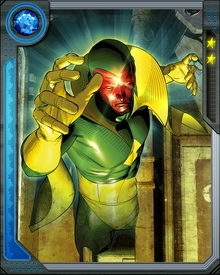 He uses the brain patterns of the deceased Power Man. 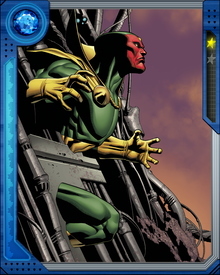 Vision later betrayed his master and joined the Avengers to fight him.